Technical or non technical, that is the question! Most project managers can be classified as technical or non-technical. This classification is based upon their technical understanding of the environment in which they are managing. For example a civil engineer managing a civil engineering project would be classified as a technical project manager, whereas if the project was managed by a non-engineer would they would be classified as a non-technical project manager. 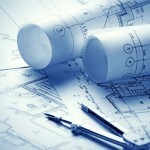 So which is better; a technical project manager or a non-technical? Really interested to see your thoughts on this one.